Jabba the Hutt — the familiar, canonical, original-trilogy scene-stealer — is the star of the new book in my Origami Yoda series, The Surprise Attack of Jabba the Puppet. But inside, readers are going to find some unexpected faces. In previous books in the series, one or two kids have shown up at school wielding origami Star Wars puppets. 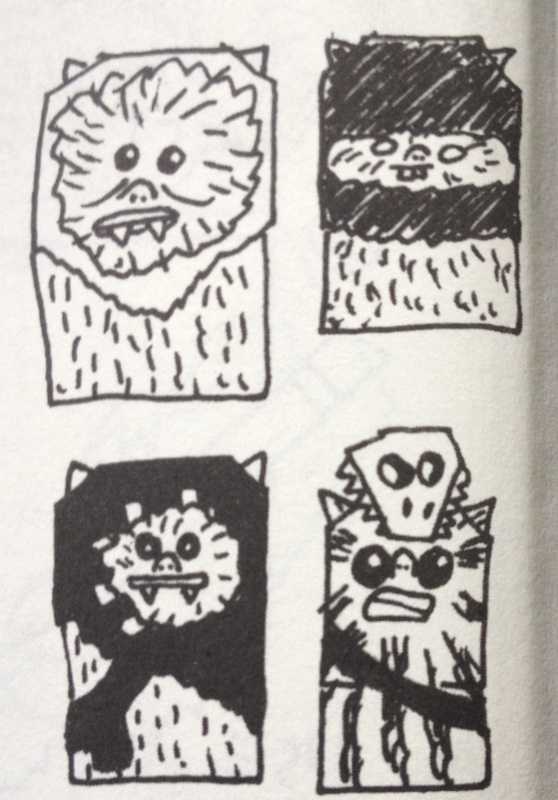 These Star Wars characters, in turn, wield their influence on the kids — Origami Yoda counsels patience and wisdom, Chewbacca (the Fortune Wookiee) encourages bravery and loyalty, and when Darth Paper shows up there’s some serious dark side behavior. In this book, the students face their greatest challenge — the school administration’s obsession with prepping them for state standards tests. They form a rebellion and every kid needs his/her own Star Wars puppet. The original trilogy is well represented, of course, with Luke and Lando joining Chewie and Han Foldo. 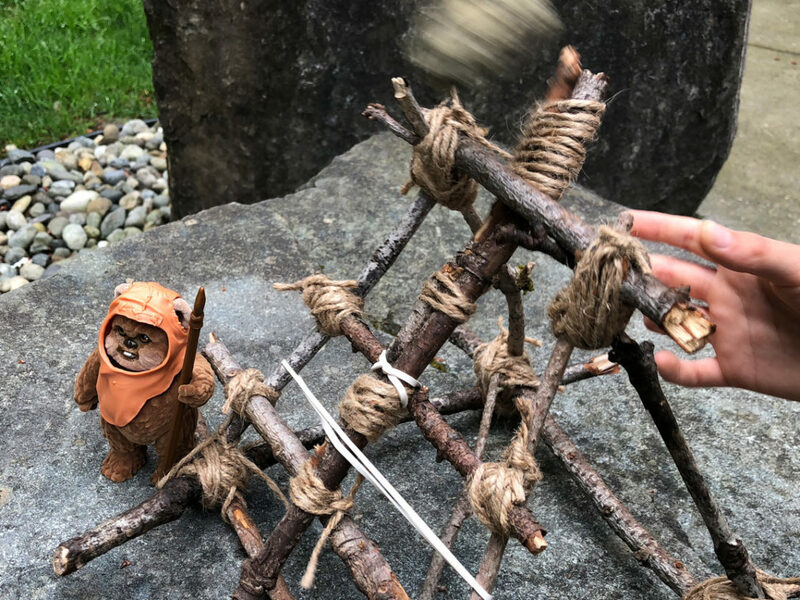 Not to mention a brief appearance by Grand Moff Tarkin, a handful of Admiral Ackbars, and a full-out Ewok attack, featuring ten origami Ewoks (with instructions on making your own). But, the prequels are full of great characters, too, and I have dabbled with prequel characters before. Darth Maul and General Grievous made brief appearances early on in the second book. And, of course, Yoda himself is a prequel character, as is Darth Paper when his paper helmet is flipped back to reveal Anakin (circa Episode II) underneath. But the time had come to truly embrace the prequels and thus the new book brings us a whole squad of clone troopers, Mace Windu, Kit Fisto, and a Clone Wars-era Foldy Wan Kenobi. And then there’s Padmé. If you think about it, she has the perfect blend of guts and fashion sense needed to survive middle school. And, she’s so quotable: “So this is how liberty dies…” It works on Naboo; it works in math class. Why stop there? As a The Clone Wars fan, I couldn’t resist including Ventress and a squadron of clones. But, I’m not always the one in control here. 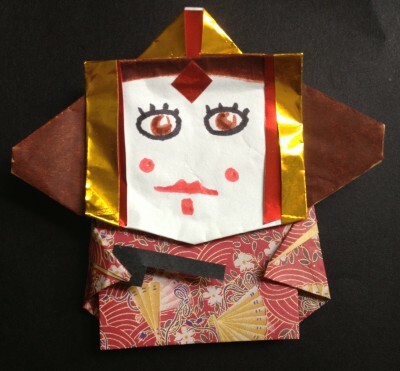 The origami characters have to be true to the kid characters. 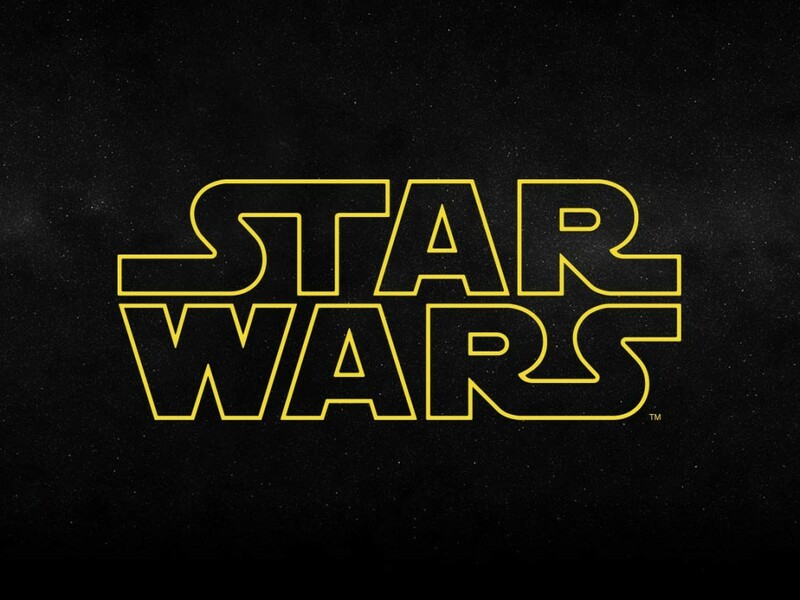 And thus, I was taken beyond my comfort zone…into the Expanded Universe. 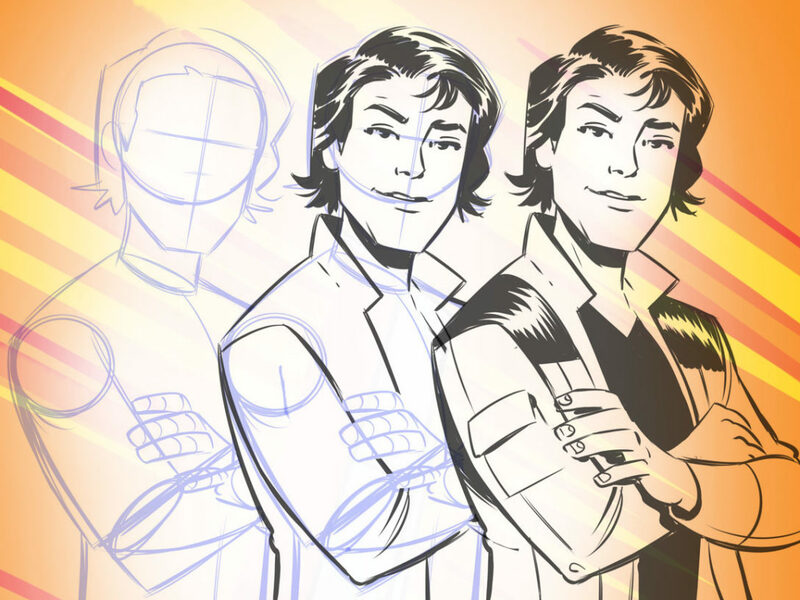 One of the characters, Remi, is a sixth grade girl — a lover of comics, Star Wars, and a certain seventh grade boy. When that boy begins using a Luke Skyfolder puppet, it’s clear who Remi is going to choose for herself: Luke’s wife, Mara Jade. And I could not be prouder that my books have inspired their own kid-powered EU. 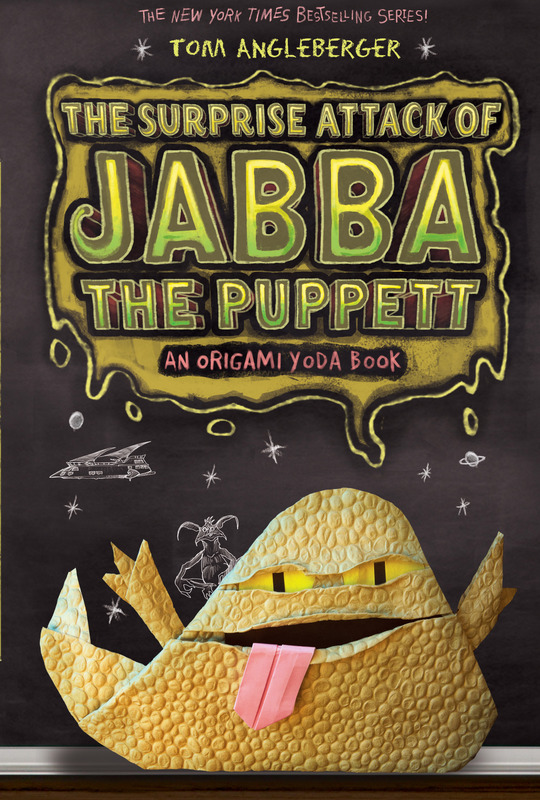 The Surprise Attack of Jabba the Puppet is available on August 6. 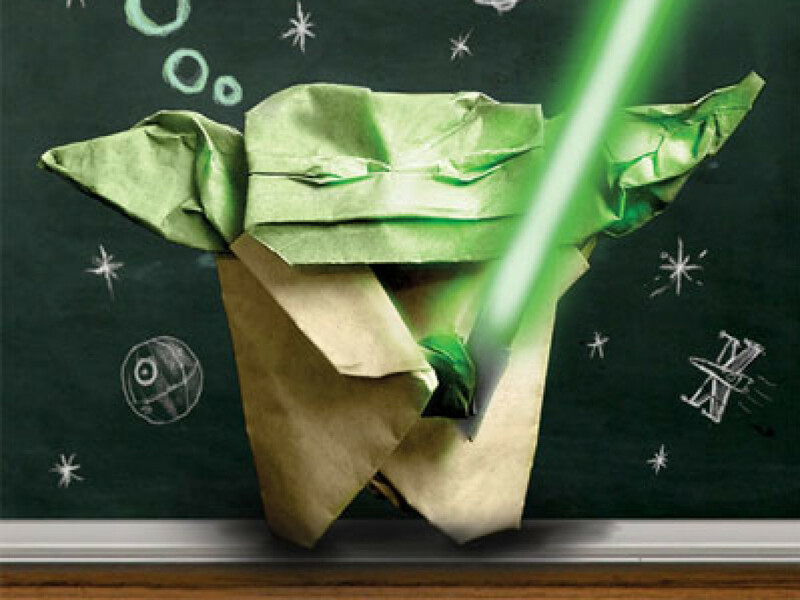 Visit origamiyoda.com for more details.